Many business owners and aspiring entrepreneurs starting up a business enterprise often times encounter a lack of enough resources. Many might have the capital to purchase machinery and hire labor but stay undecided on whether to buy or lease a business vehicle. Although buying a business vehicle guarantees you full ownership, leasing has many benefits according to research done by professionals. 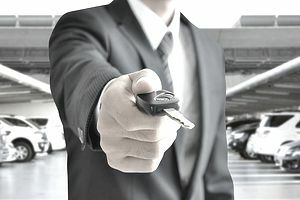 Below is a quick look at the benefits businesses might accrue from leasing a vehicle for instead of purchasing its own. We all agree that leasing a car instead of buying one for the business cuts down the capital required to run the business. This is very beneficial to business owners who are new to entrepreneurship since the only objective every business wants is to minimize costs and maximize profits. The lease amount payable every month is between 30% to 60% of the value of the car which is way cheaper than acquiring a new vehicle. This allows the business to utilize the savings made on other assets required by the business. In most parts of the US when you lease a vehicle, you don't pay sales tax on the whole value of a leased vehicle but, instead, you are only taxed on the portion of the value you use during the leasing period. It should be noted that when a business buys a vehicle, the business pays sales tax on the whole value of the vehicle which is very expensive for a business that is trying to grow. Lastly, when you lease a vehicle, the tax payable is spread all along the leasing period and is paid together with monthly installments. If your investment involves working with the public, then business vehicle leasing will actually promote your image. This is a better way of enhancing your business' name as well as impress your clients. On the other hand, lease monthly payments are cheaper compared to buying a new vehicle, many business owners end up driving luxury vehicles every now and then which would otherwise be very difficult to get through buying. Alternatively, the monthly lease amounts payable are less compared to​ the amount a business owner would pay if the car was bought on loan. As a business owner, you should be clever enough to lease a vehicle at a time that coincides with the warranty period covered by the car's manufacturer. This means that in case something goes wrong with the car, the manufacturer is responsible and caters for all repair costs. At the same time, many leasing companies offer free maintenance schedules during the lease period. On the other hand, many companies also offer a fully maintained operating lease meaning anything that goes wrong with the vehicle remains the responsibility of the company which saves you on business costs. Whenever you are starting up a new business venture, it is advisable to cut down on all the initial costs so that the business increases its profit margins. One of the easiest methods to cut costs is by leasing a business vehicle instead of buying one for the business. Since there is little to no down payments on business vehicle leasing it helps the business conserve cash flow. Many car leasing companies have automatic free 'gap' protection which covers for a stolen vehicle or whenever the vehicle is involved in an accident. This pays off the vehicle in a situation where an insurance company doesn't cover all the loss incurred. It is good to note that no loans come with automatic gap protection. In conclusion, leasing business vehicles are the best thing that a business should venture into instead of buying. It actually cuts down the costs that the business incurs and by doing so, the profit margins at the end of the month are higher. Therefore we would highly recommend small businesses to start off by leasing instead of buying vehicles for the business.